Cape Town from just about any angle, but to behold her beauty from a couple of thousand feet up? Truly nothing compares. 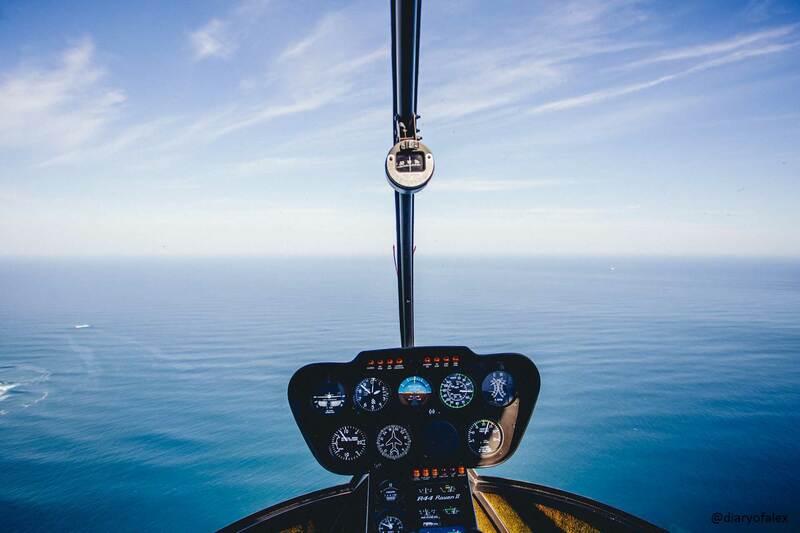 One can do just that with NAC Helicopters, who offer scenic flights both around the majestic Cape Peninsula and beyond. 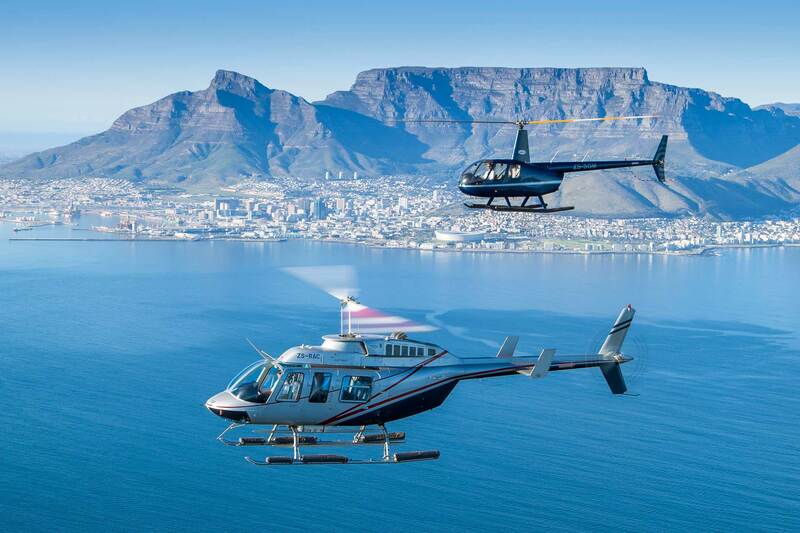 In fact, they can land just about anywhere with a helipad, and even offer chartered flights to the winelands – a lavish treat, and fantastic idea for a special occasion. However, if you’re pressed for time, a quick 15-minute whip around the Peninsula is all you need to appreciate the glory of the ocean, marvel at the rugged Table Mountain, and feast your eyes on the coast of the Mother City – an unforgettable experience indeed. 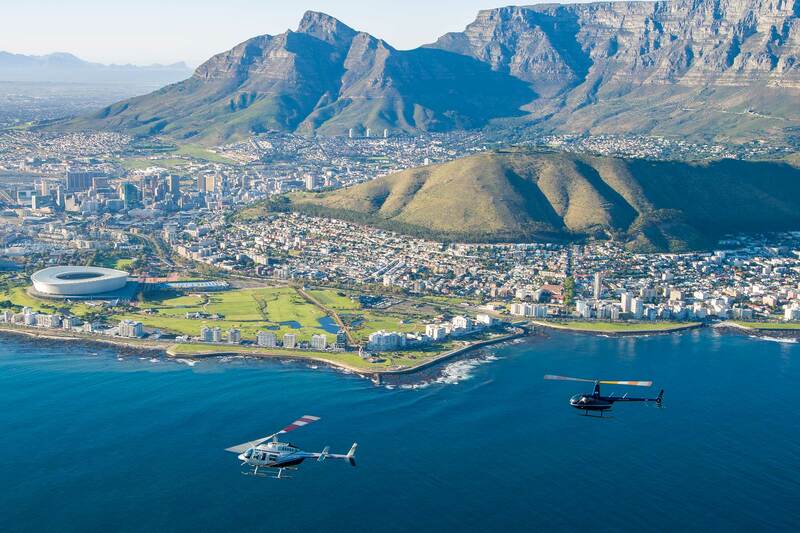 The complimentary shuttle whisked us directly to the NAC base, hidden at the far end of the V&A Waterfront by the breakwater, where choppers of all shapes and sizes land and take off like colourful loud birds, their endless buzz creating an immediate air of excitement. We were warmly welcomed with a glass of bubbles (or juice if you prefer), and after a short safety intro and briefing, it was time to strut across the tarmac and towards our awaiting Bell 407 helicopter – a bright purple 6-seater that, were it a car, would definitely be a Cadillac. The propellers will blow your hair back (look out Beyonce), but the friendly ground staff quickly helped us inside, where we were safely buckled up and handed a headset that deadened the roar and allowed us to communicate with the pilot directly. 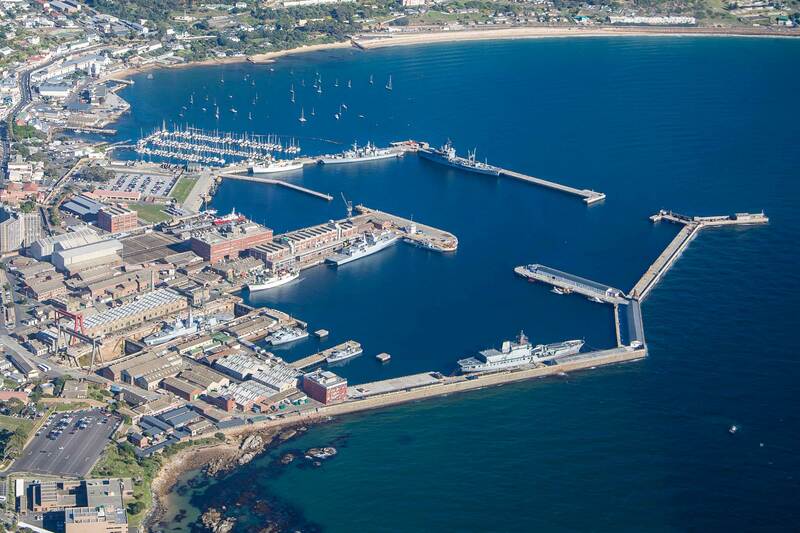 In a breathless moment we rose into the cloudless sky, the harbour and city quickly shrinking beneath us. We soon reached a height of 2500 feet – a point high enough to see the entirety of the breathtaking coastline of Cape Town’s Atlantic Seaboard peninsula, but close enough to make out the details below (sharks and dolphins if you are lucky!). There is so much to soak in that it is hard to know quite where to look (or to point your camera) such is the astounding geography of Cape Town. 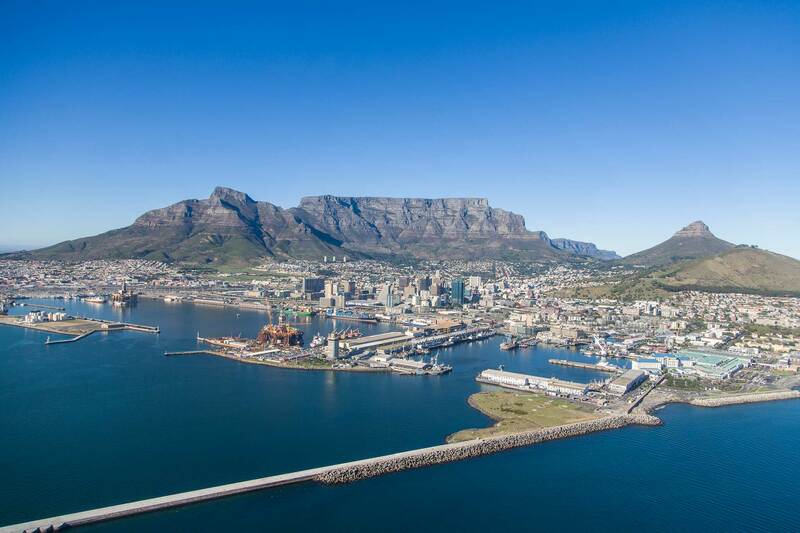 Luckily, your pilot will help to direct your gaze and highlight landmarks, like the Green Point stadium and Mouille Point Lighthouse that border each unique area. We swept over the City Bowl, the crouching hulk of Lion’s Head joined by Signal Hill, and watched as the waves seemed to move in slow-motion towards the shores of the famous Clifton and Camps Bay beaches below, their inviting turquoise coves flanked by some of Cape Town’s most desired homes. The Hopper Tour ended just around the edges of Table Mountain’s Twelve Apostles range – a UNESCO World Heritage Site – before we turned back and began our swift decent, Robben Island clearly visible on the left. Landing is a come down in more ways than one. While it is over all too quickly, the ground staff welcomed us back with another glass of bubbly that we were invited to enjoy on the lookout deck. 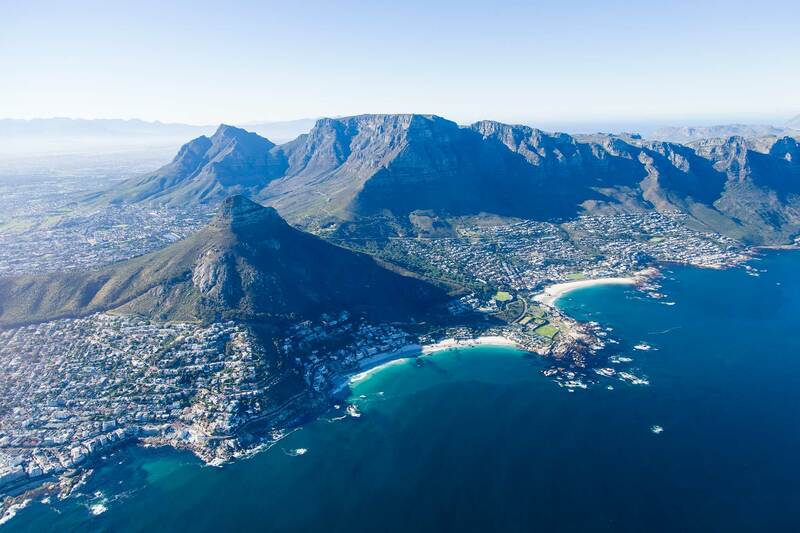 If 15 minutes just is not enough time, and you want to see more of Cape Town, we suggest the longer Atlantico Tour, though there are five options in total to choose from, excluding chartered flights to other regions. 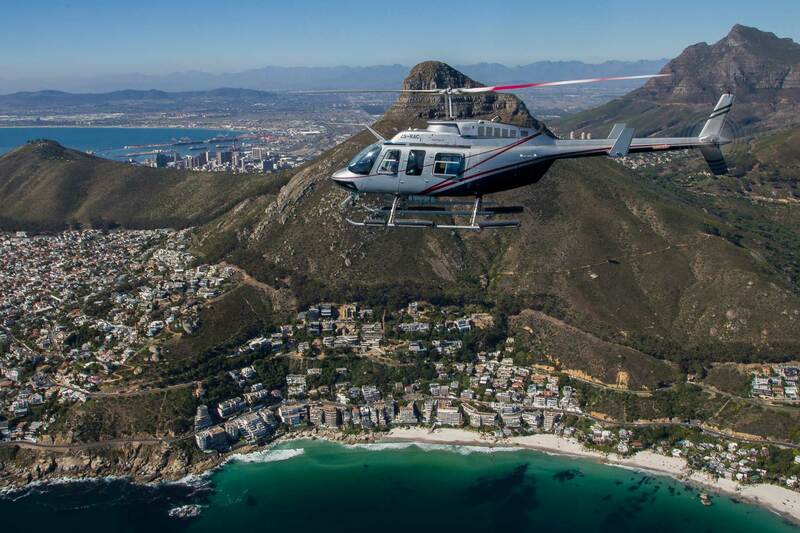 Cape Town is one of the most affordable cities to fly in, so there is no excuse not to tick a helicopter tour off your bucket list while in the Mother City.